ePublishing Knowledge BaseePublishing Knowledge BaseePublishing Knowledge Base Creating, Managing, and Selling Products How do I create a product out of an article? If you'd like to sell individual article access, use the Product tool within the Article Manager. This article includes links throughout for more detail on any of the steps. 1. 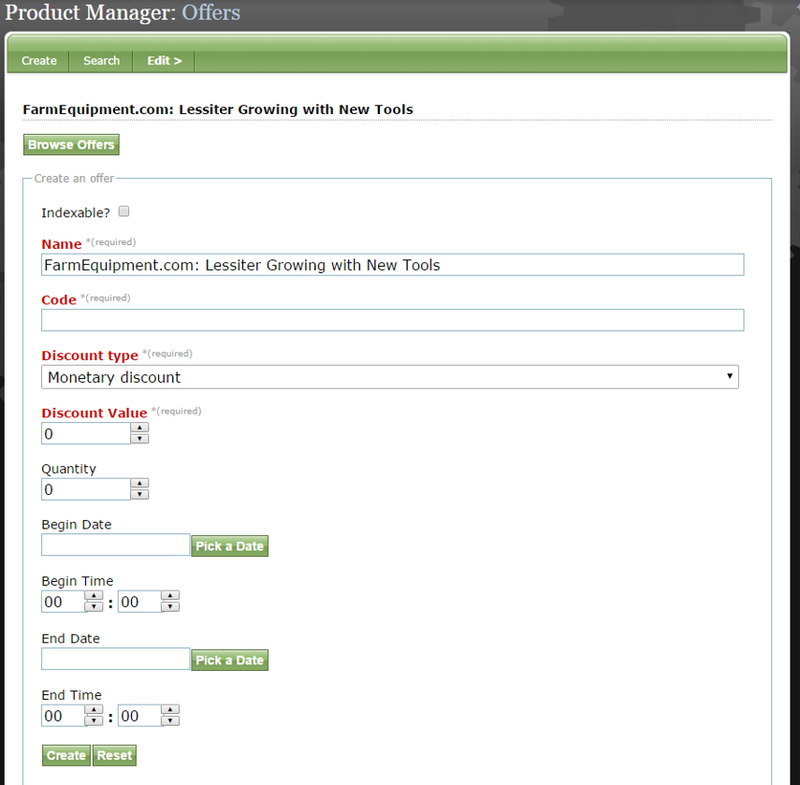 In the Article Manager, hover over Edit and click on Product. Zoom: In the Article Manager, hover over Edit and click on Product. 2. Choose a template or use None. Zoom: Choose a template or use None. 3. Add a Product Name for your article. Zoom: Add a Product Name for your article. 4. The Product Type will default to Article. 5. Add a Headline and a Description. The description will appear on the product page for this article. Zoom: Add a Headline and a Description. The description will appear on the product page for this article. 6. Classify your product, if desired. For example, you may want to assign the product to a specific product category. Zoom: Classify your product, if desired. For example, you may want to assign the product to a specific product category. All classification and site placement taxonomy is unique to each website. This is not required. Depending on the website's design, the teaser may show up in search results or on index pages. For an article, the only required field is Cost, which is the price of the article. You may also add an Orig. Cost, which would allow you to display a discount. For example, if the Orig. Cost of the article is $10, and the Cost is $9, the product page would showcase a 10% discount. Because this product will provide access to an individual article to be read online, you do not need to add a Min. Qty or a Max. Qty. 10. After you click Create, a yellow box will appear at the top of the Article Manager. Zoom: After you click Create, a yellow box will appear at the top of the Article Manager. Your product is not yet published. 11. Click on the Product name to access the product for publishing. Zoom: Click on the Product name to access the product for publishing. 12. You are now in the Product Manager. If you are happy with the current setup of the product, click Publish. You may want a thumbnail image to appear next to your product headline. On the first page of your Product Manager, scroll down and click on Browse to access the Media Manager. 13.2. Under Edit at the top of the Product Manager, click Supplemental. There, you can edit your confirmation e-mail content. Zoom: Under Edit at the top of the Product Manager, click Supplemental. There, you can edit your confirmation e-mail content. This will be added to the e-mail message that purchasers will automatically receive after buying access to the article. On the same tab, you will find classification and site placement taxonomy options. Topic/Category taxonomy will automatically populate with the topics that were selected when the article was created. All classification and site placement taxonomy is unique to each website. 13.4. Associate an offer with your product. Zoom: Associate an offer with your product. To get to Offers, hover over Edit and select Offers. Set a discount code to associate with your product, or Browse Offers to select an existing promotion. Learn more about setting up offers in: How do I create discount codes or offers? 13.5. Associate related content with your product. To access Related content, hover over Edit and selected Related. Learn more about associating related content with your product. 14. When you are finished updating your product, click Publish. Do you want more details on setting up products in your ePublishing store? Learn more in How do I create a new product? Prev: How do I create a new product? Next: How do I use metering, which allows readers to access a set number of articles for free before paying?